An old time favourite, the personalised Christmas Chocolate Eclairs Acrylic Canister is the perfect chocolate gift idea for Xmas. It’s that season again when everyone’s looking forward to Christmas. And for your company, it’s also that season when your promotional gifts would mean a lot. For this year, why don’t you give out a special promotion that will not only touch the hearts, but the stomach as well? 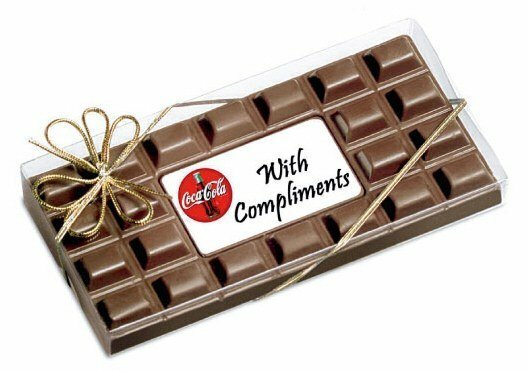 And for that, how about you check out our promotional Christmas Chocolate Eclairs Acrylic Canister. 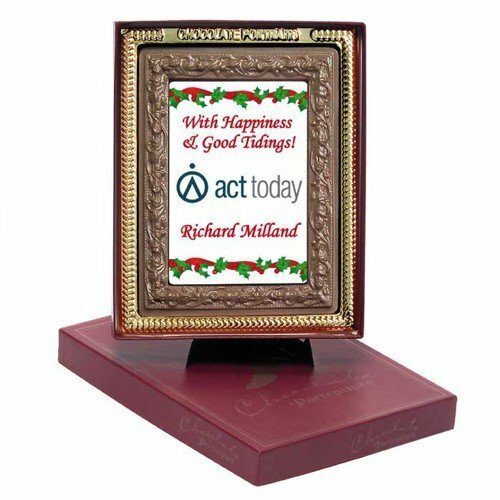 These promotional gift treasures make the best holiday giveaway if you want something that will be very much appreciated while at the same time do wonders for your company brand. With 12 pieces of chocolate eclairs inside, that’s 100 grams of mouth-watering guilty pleasure. But hey, it’s Christmas, so it’s that time of the year when we loosen our belts and indulge in gastronomical pleasures. We’ll just make sure to hit the gym the month after. These delicious eclairs come in a 75mm (w) x 78mm (h) airtight canister. What’s also cool about this gift item is that you can keep using the canister even after all the candies have been devoured. With that also means an extended life for your advertising. 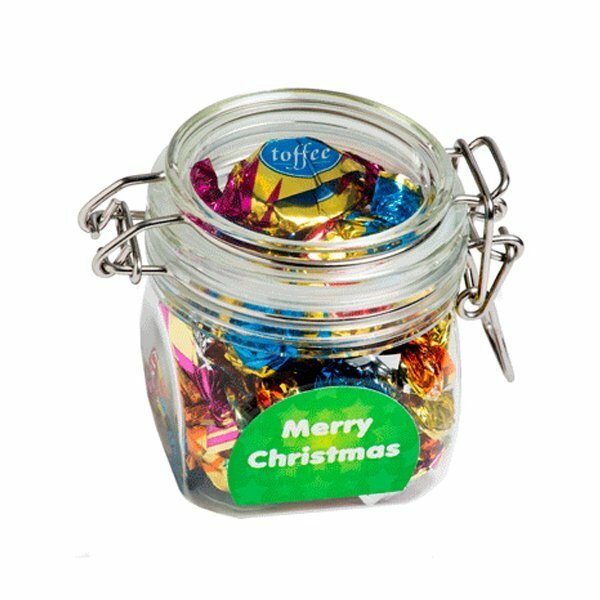 Speaking of which, your advertising on the branded Christmas Chocolate Eclairs Acrylic Canister will be placed on the lid (45mmDia) or on the body (48mmW x 37mmH) through a full colour sticker. You can also place your advertising on both sides to maximise your exposure. You might also want to look at the advertising 15 gram Candy Canes for a Christmas promotional product that you can hang on your Christmas tree. The candy canes also come in a small size like the customised Small 4 gram Candy Canes. Incidentally, we are very proud of our complimentary range of promotional balloons. This Christmas, why not order both promotional chocolates and balloons too? Really make that celebration memorable. Our branded Christmas Chocolate Eclairs Acrylic Canister is a treat too mouthwatering to pass up! 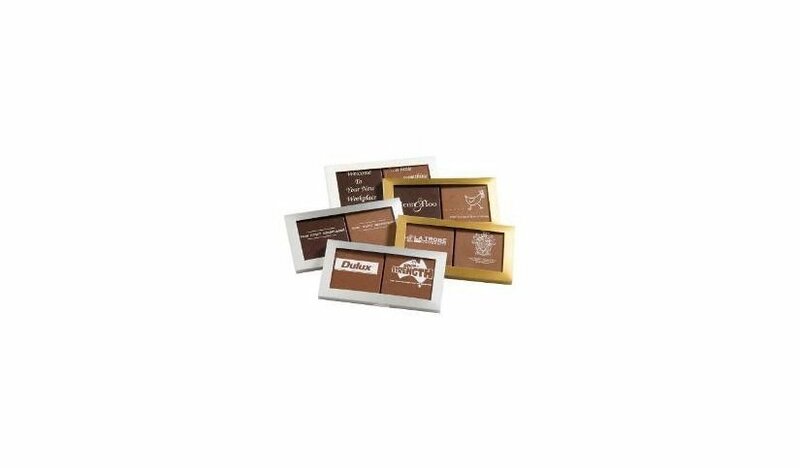 These sweets will make a well appreciated gift for family, friends, and colleagues. For another smart and classy gift idea, check our Linen Fedora and our custom hats and caps! Anytime you’re ready, you can give us a call via our hotline 1300 008 300. We can also be reached through our live chat application. We’d be glad to answer your questions and offer our assistance.